Working Underwater - Global Diving & Salvage, Inc.
Take a few seconds and close your eyes. 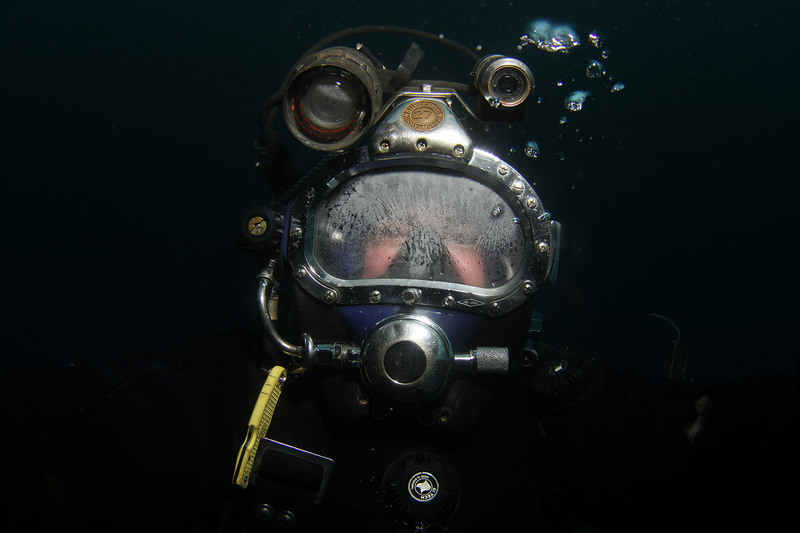 That pitch black is a typical working environment for a Global diver: deep underwater, essentially blind, and doing everything by feel for hours at a time. What’s “normal” at Global, isn’t usual for the rest of the working world. It’s a unique job that comes with an unusual set of challenges. The dark is one issue; wildlife is another. The ocean is an untamed beast and so are the creatures that live in it. For example, take the time a Global diver became a play toy for a steller sea lion. That might sound like fun and all, but keep in mind steller sea lions can grow to be 10 feet long and weigh as much as 2,400 pounds. When working on a job in British Columbia, a curious giant Pacific octopus made friends with one of Global’s remotely operated vehicles. That octopus became a regular around the job site because it liked the warmth from the hydraulic system. Check out the video below for a closer look! How about reaching out, grabbing something “as big as someone’s thigh,” and having it scurry away? Yup, that’s happened to a Global diver as well. Our best guess: it was probably a sturgeon. But who knows? Remember, it’s dark down there in the depths. We take pride in being problem solvers. We’ve used kitchen knives to shred abandoned nets that snagged an ROV. In a pinch, we’ve plugged a leaking hose with toothpaste. It’s all in a day’s work for a Global employee. And despite the challenges and the unknowns, they do it safely. Global is a response team and we’re always at the ready. We’ll go anywhere and muck through just about anything. We helped with the Exxon Valdez in Alaska and the Costa Concordia in Italy. Our crews are anywhere from Saudi Arabia to our home base in Seattle. And we’ve worked in heavy snow in Alaska to the most sensitive ocean environments in the South Pacific. We’re called upon when someone needs help. To overcome challenges, accomplish our objective, and look a satisfied client in the eye – that’s what it’s all about here at Global. My son Josh worked for you.Awsome company to work for. He loved his job.